Roger Smith is the only disciple of the famous late George Daniels. 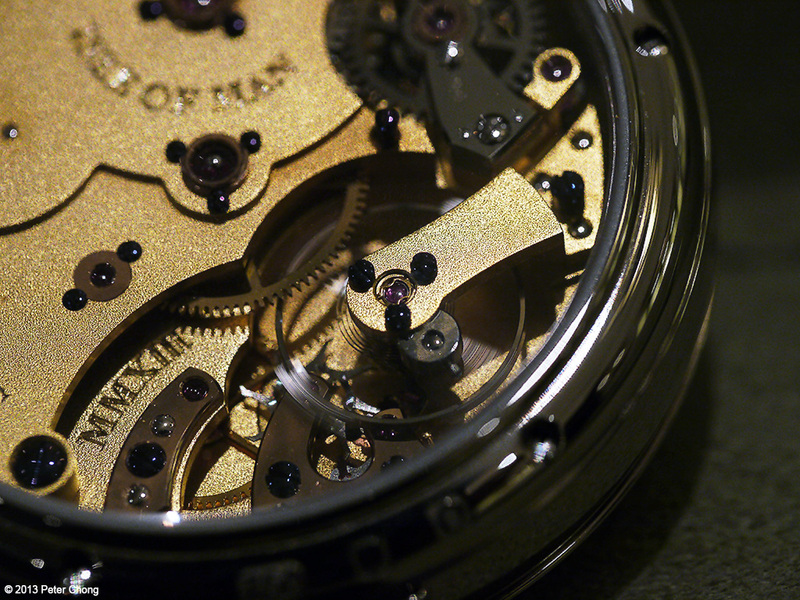 Roger is a fine watchmaker, and works out of Daniel's workshops in the Isle of Man. 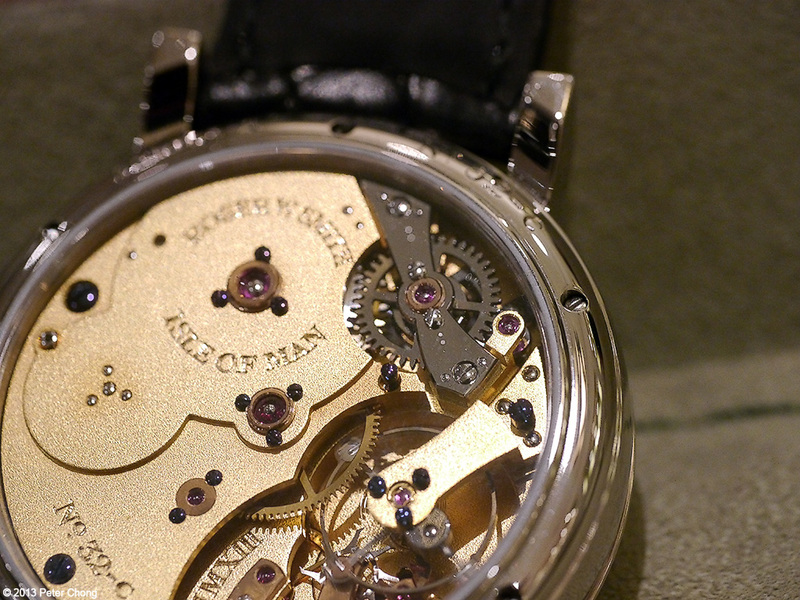 Designed as a watch by an English artisan craftsman, the approach is to make everything in the house...the dial, hands, case, and components of the movement are all made in the workshops of Smith. 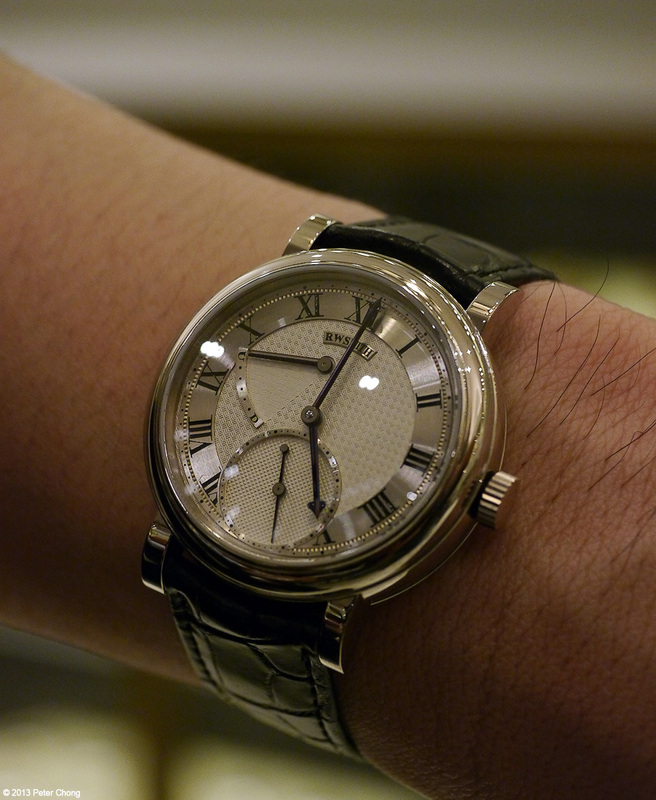 The watch is quite handsome, with a beautiful hand guilloched dial, hand made hands. 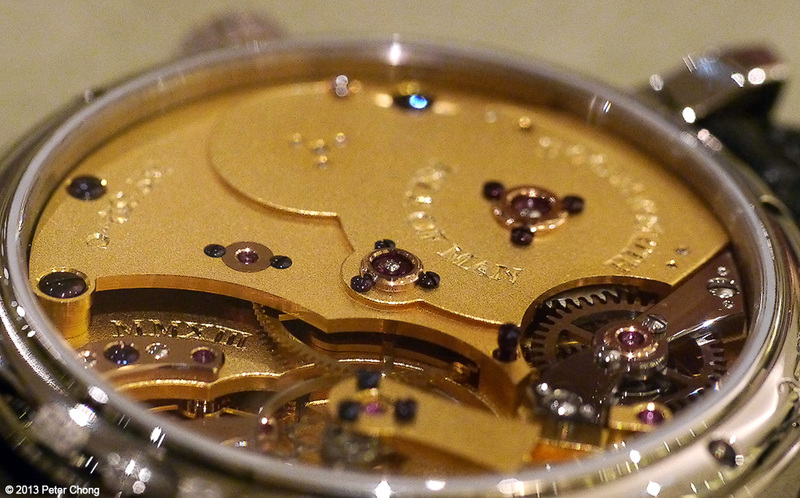 I find the finish to be quite interesting, though lack of embelishment we have come to expect from Swiss and German watches. 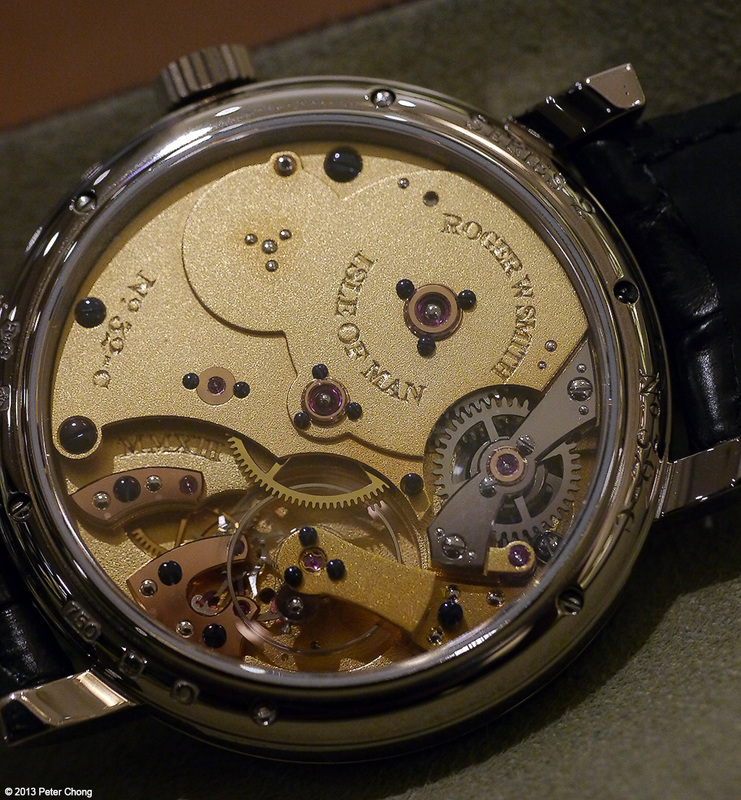 But I was quietly reminded by Roger Smith in an earlier conversation with him, that the English were the first to build high accuracy watches, and it was the Swiss and Germans who introduced the finishing to attract customers away from the functional English style. 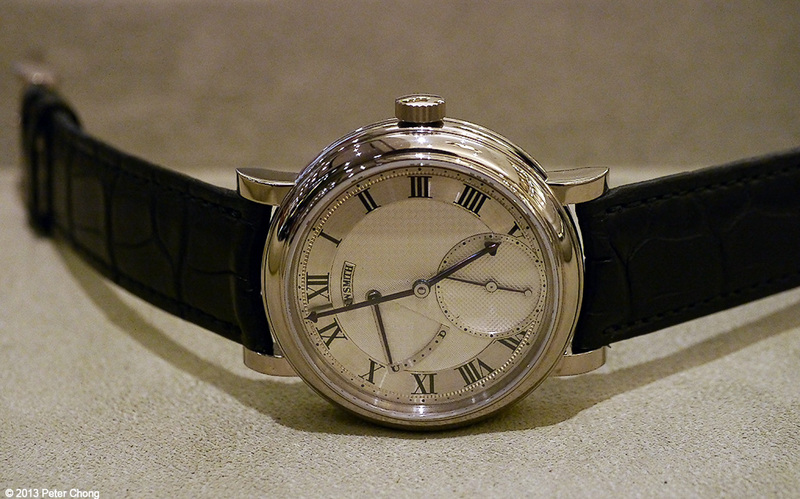 Quite a beautiful watch, and nicely done. Photographed in situ at L'Atelier by The Hour Glass, handheld, shop lighting. 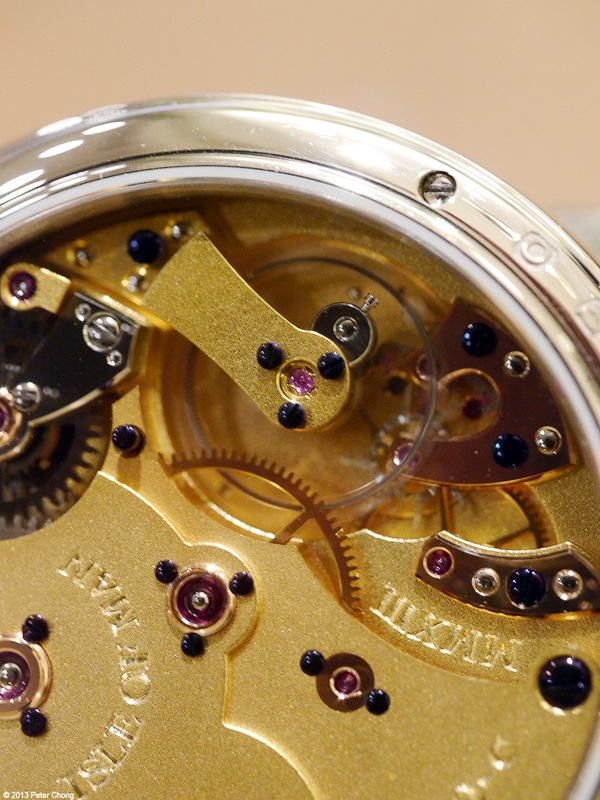 Watchscapes takes a break today...back Fri.